Hiring an interior designer to match your style and budget is tough. It’s also one of the most important decisions you can make when creating a home, so it pays to approach it with care. 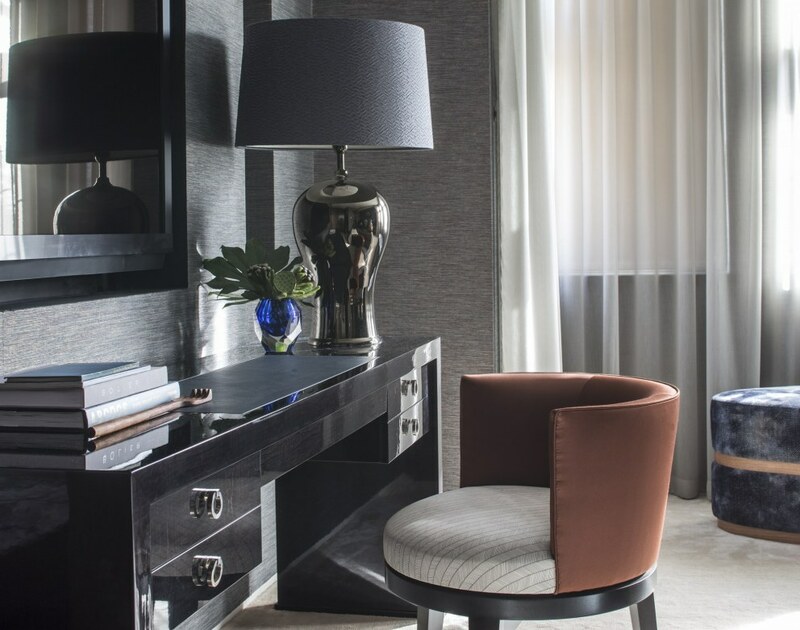 At interiordesigners.net, we have years of experience working with our carefully selected, experienced and professional interior designers, and have learnt a few things along the way. In this article, we walk you through how to hire the interior designer for your project. By following these steps you learn how to hire the interior designer you’re looking for, and ensure a successful project. When should I engage an interior designer? We’re often asked by clients buying new homes or thinking of extending their properties, whether it is too early to engage an interior designer. Invariably, the answer is ‘no’. A few careful decisions now will guarantee that your new home will be a place of stylish comfort and warm hospitality for many years to come: a place that truly reflects your tastes and interests. I’ve just bought a new home. Is it too soon to think about interior design? Once you have found the house you’ve been searching for, you will want to make it the best it can possibly be. Which is where our interior designer service comes in. Don’t hesitate: talk to us before you exchange and we will send portfolios of designers’ work to get you started. Once you have exchanged, you can meet with the interior designer of your choice, plan your project and hit the ground running straight after completion. I’ve got building work planned, should I hold off interior design decisions until it’s finished? Not at all. When you are extending or updating your property, it’s key to think about the interior design alongside the structural work. Some of our interior designers are also architects and will be able to advise you on how best to marry the two. Get a designer on board as soon as you can and sit down to discuss what you really want – designing it from the inside-out. Consider how you will actually use the space and how it is best configured to suit your needs and your lifestyle. 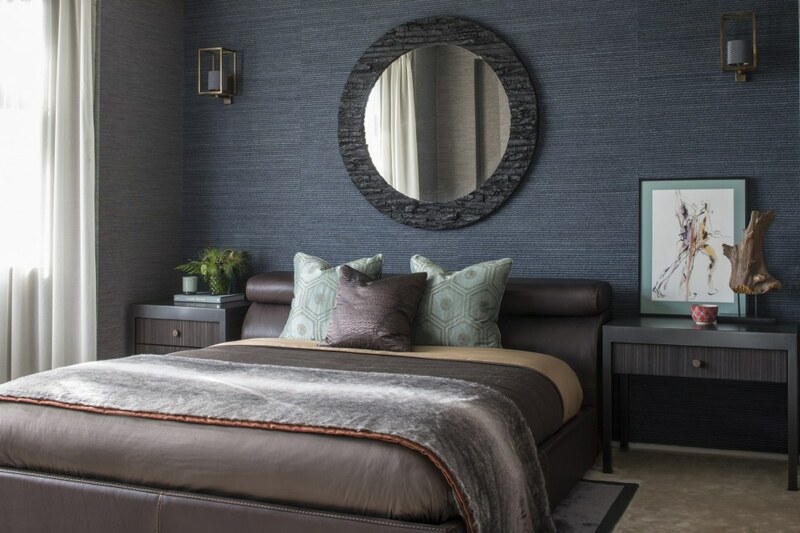 Whether you are moving into a new home or improving the one you already have, engage an interior designer as soon as you can to ensure they aren’t busy with other clients and to give them plenty of time to book tradesmen. So, sooner is better when it comes to interior design? Yes, whatever project you are planning, the earlier you meet with your designer the more satisfying the result. Cost-cutting measures suggested by a builder may compromise the design for instance, in which case your designer will be able to advise and offer alternatives. He or she will also be able to check the architect’s drawings to make sure that everything is as it should be before it goes to planning. Once this groundwork has been laid, and you are happy with how it is looking, together you can plan the furniture layout. Then you can progress to the lighting and electrical schemes before the plastering begins. It is essential to do this in the right order and to allow an appropriate amount of time. Also remember that lead times on furniture, even high-street sofas, often runs into months, and good joiners get booked up way ahead. An interior designer, with experience of co-ordinating projects, will anticipate all of this. If you want to ease stress, enable a smooth-running project and create the home you really want, make engaging one the top of your to-do list. The first thing you must do before embarking on your project is have a good think about what you want. The more you understand and articulate your wishes, the more likely it is that you will have a successful outcome. What you want to do with the space? Perhaps something isn’t working, or you need more room as your family grows. What do you need to do to achieve these changes? It might be helpful to draw up a wishlist to help you visualise the outcome. Consider how much time you have to accomplish this. You may have a specific deadline or a particular date to work towards. If your project is a large residential one, you may need to move out during the work. Keep this in mind when you consider logistics and budget. Be realistic about your budget. Think about how much you are prepared to spend to get the project done. You might also prefer that the work is undertaken in two phases to spread the cost. Have fun exploring design and furniture ideas. To help your interior designer understand your style, gather together information and images that you like and think would fit your space. Take a look at our online gallery and collate your favourites in your own Style Book. Or look on Pinterest and pin your choices, or cut out features from magazines. Consider what level of input you are looking for from an interior designer. Is it just ideas or a full design service from concept to completion? Once we have understood your brief, we can outline the different levels of input and types of service available and help you decide what would be best. We know our designers very well and we will take the time to get to know your project, too. Which means we are in a position to recommend a designer that will have the best fit with you. You will receive portfolios of at least two designers (more if required) and we will initially arrange a no-obligation phone call with them for you to get to know each other better. After your initial phone conversation, you might decide that you like the sound of one (or more) of them. If so, we will arrange for you to meet at your property. There is no charge for this service. A package of information, including your brief, is sent to the designers beforehand so they will understand what you are looking for. We also provide testimonials from other clients about the designers, to reassure you. 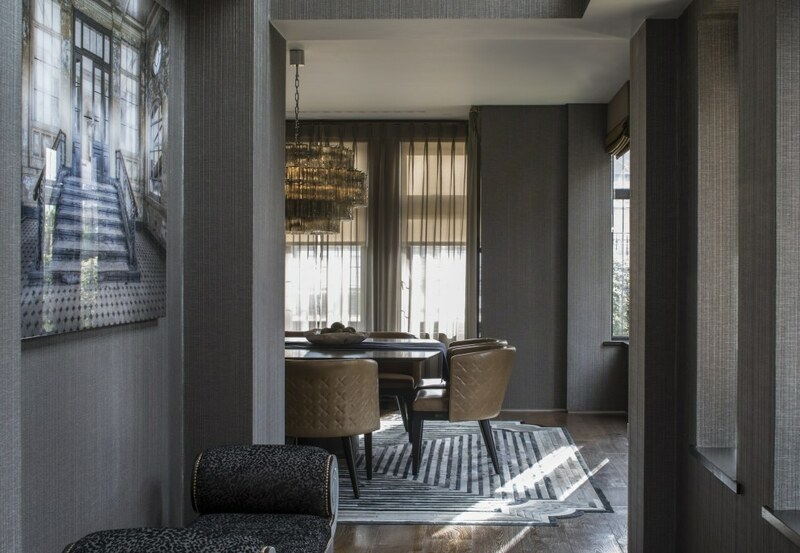 Before you meet, it’s worth asking yourself a few questions, see ‘How to choose the right interior designer’ below, to ensure you are fully prepared. Once you have met and got to know each better, the designers will go away and draw up a proposal. Now you’ve found a selection of interior designers, you’re ready to go. All you have to do is consider each proposal and make your choice. This can be hard, so we’ve compiled some helpful tips below. A few points to consider when you are searching for the perfect interior designer for your project. The best way to assess a designer’s style is to look at their portfolio, Pinterest boards and website, and then discuss it with them. We can gather a selection of designers’ portfolios that we think will suit your project for you to take a look at. You may not see a replica of the interior you imagined but this is a good way of gauging the quality of their work and their attention to detail. Some designers have a ‘house style’ that they recreate in all the projects, but most will follow their client’s brief and enhance it. A good working relationship is essential to guarantee a successful project. And the only way to assess whether or not you will get on is to meet face to face. We will put you in touch with designers, so you can arrange to meet up. What experience do they have and what is their area of expertise? You maybe looking for an interior designer to help with your new build home or a new large extension or live in a listed building, but has your designer experience of working on such a project? Ask them. They will need to know about building regulations, be able to communicate with builders and other tradesmen and generally handle a large project. If your designer is working solely on the design of your project, rather than implementation, where they are based is less important. Most designers are happy to travel for the initial consultation, and can continue the work remotely with a couple of follow-up meetings plus emails and telephone calls. However, let’s say you’re project is in Chelsea and are looking for a turn key service where the designer is doing both design and installation, it can be to your advantage if they are local and working in the West London area. A nearby designer will have good connections with tradespeople in your area and be on hand to oversee and co-ordinate the project. Check their website for information or simply ask them or us. Some may have served a long apprenticeship and will make up for lack of qualifications with hands-on experience. We will tell you if they are a member of an industry body such as the BIID. Will they be able to work within my paramaeters? Will they manage the project well? Good organisational, financial and time-management skills are vital to the smooth running of an interiors project. In fact, we’ve listed the top ten tips to ensure your project goes well in another blog post here. We hope that this guide has helped answer the question; how to hire an interior designer? And settled any qualms you may have about finding and working with an interior designer. If you’d like to learn more, contact us at interiordesigners.net and we will talk you through the process. Then, armed with a clear idea of what you want, secure that you have sufficient knowledge about what it entails and reassured by your choice of designer, nothing can stand between you and a beautiful and accomplished result; who knows, you may even end up within our gallery. All photos are of Broad Walk, a North London project on which we matched Roselind Wilson Design.